Well, here’s a load of cobblers. The Romans had the Colosseum; we have the gutter press. The News of the World was a British tabloid newspaper of the most depressingly sordid sort, feeding its readers a diet of scandal, envy and anger. Good riddance. It was also one of the (many) jewels in Rupert Murdoch’s tawdry media crown. Employees of the paper (private eyes, journalists, editors) were caught hacking into the phones of murder victims and dead soldiers. You can’t get any lower. In the course of today, all the advertisers pulled out: no more paper. James Murdoch, the proprietor’s son, pulled the plug this afternoon around tea time. 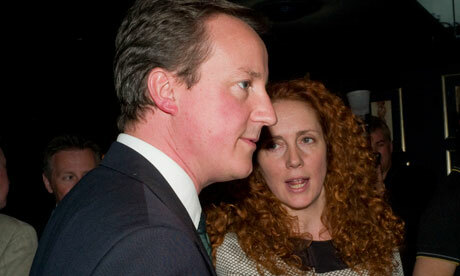 But the scandal may still reach right into the corridors of Whitehall and through the door of 10 Downing Street. The support of NoW and its sister paper The Sun were considered vital by UK politicians. Successive governments have kowtowed to the Murdoch media empire. So much so that when David Cameron became Prime Minister in May, he appointed the ex-editor of NoW, Andy Coulson, as his media manager. Right now, Murdoch’s News Corp is in the final stages of acquiring more TV in this country. In the short, medium and long term that is far more important for him than a soon-to-be-moribund tabloid. Newspapers such as the News of the World are on the way out anyway. This one has just been dispatched rather abruptly. Besides, watch out for the Sun on Sunday. I don’t have a time but I assume it was morning. So do take the positions of Moon and angles as speculative. So what does a rag’s natal chart look like? Dynamic. Mercury, the planet of news, is right at the beginning of the sign of the underbelly, Scorpio. (Sorry Scorps – but you know what I mean.) It’s also in the first house: pretty good for a tabloid newspaper. The Sun (power) and Venus (money) are in political Libra. Interestingly, Venus is what’s called cazimi in traditional astrology, which means it’s so close to the eye of the Sun that it is super-powered – and it’s in it’s own sign. Jupiter (expansion) and Neptune (dreams and illusion) are conjunct in the sign of the common man or woman, Aquarius. 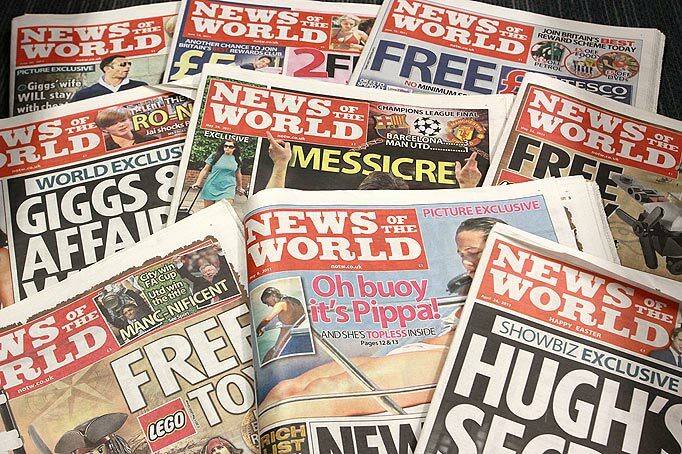 News of the World was launched with the intention of appealing to the newly literate working classes by feeding them on a diet of scandal and vice. These two are in mutual reception with Uranus in Pisces – so the theme of dreams (or lies) and the common people is strengthened. We have had just this Neptune-Uranus mutual reception for the past decade and witnessed, among other things, the rise of reality TV. Mars, Moon and Saturn are bunched together in the sign of big business and government, Capricorn. Saturn is, of course, strong in its own sign and Mars is exalted. NoW has always supported the military (Mars) and also been very aggressive about pursuing governments (or individuals) it did not like. Or more specifically, its proprietor didn’t like. James Murdoch described the paper’s behaviour as “inhuman” – that could be exactly a description of Moon-Mars-Saturn in Cap. It shows a scary combination of cold-heartedness and violence. But what of the transits today, you cry. It was dramatic wasn’t it; simply shutting down a national paper. But when you come to think about it – smart. Rupert Murdoch has always been light on his feet. It’s his ability to play the long game, to see the wood and the trees, that has put him where he is today. Here’s a profile of him. This move is a dramatic example of cutting your losses – and I hate to say it – that fits in perfectly with the spirit of these times. Murdoch’s Piscean ability to feel what his next move should be is something we should all pay attention to. And adapt for ourselves. Murdoch cuts out the dead wood – so should we. OK – so the eclipse on July 1 happened exactly opposite NoW’s Mars – and eclipses mean? Yes, the end of something. Clearly, you can see that NoW’s T-square was being jangled by the Cardinal Cross we’ve all been enjoying so much recently. Did you read my post yesterday about money being drained away? Aren’t you glad it’s not just you? This’ll be the disappearance of the advertising in one short day. Death. Obviously, the News of the World has been a dead man walking for a couple of degrees now. Obviously this happens every month, but the Moon is a trigger to action and sets the whole thing in motion. tr Uranus just past its second return. Now here’s the transit combo that really interests me. Uranus is shock, of course, and I think I can safely say that this has all been a bit of surprise, but what is Ceres doing there? Now I wonder if she is representing Nemesis, the goddess who takes you down a peg if you get too big for your boots. Ceres was very much involved with the Gusher in the Gulf (here’s my piece on that), when we saw another large corporation (BP) humiliated and exposed. She was conjuncting Pluto then. Now she is square to that position. I have one final point to make. 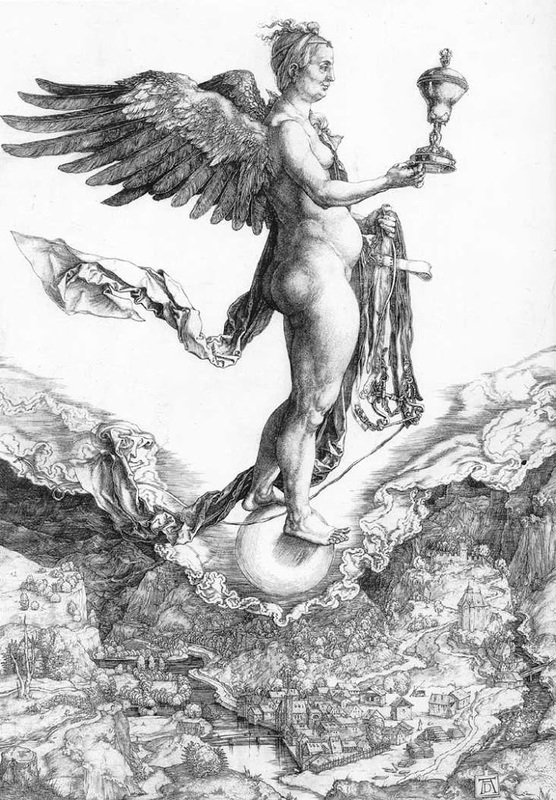 David Cameron’s Venus is exactly conjunct NoW’s Sun-Venus conjunction in Libra. Margaret Thatcher’s Mars was 2° away. She was presented as a warrior by the paper; he as Mr Nice. His interests are closely bound up with this paper. I don’t think this scandal is done – despite this attempt to kill it stone dead. Andy Coulson, the Prime Minister’s personally appointed ex-media manager, has been arrested. It’s getting closer to the PM already. It would never have occurred to me to draw up a chart for the paper itself. Very clever. And what an interesting chart it is too – especially that Aquarian angle.